Whether you own a mid or high-end smartphone, battery drain is an issue that bothers all Android users. Smartphones have become such an integral part of our lives that we can’t imagine a day without them. It keeps us connected with the world but doing so costs battery juice. Here are 8 effectively best battery-saving tips for Android that could help you enjoy longer battery life on your Android device. With phones getting slimmer in dimension and batteries smaller in size, quicker battery drain is has become one of the universal issues for smartphone users. Thanks to the quick charging technology that has made it possible to juice up our phones quickly. That, however, does not address the real issue. Keeping this in mind, we’ve come with 8 simple and effective battery saving tips for Android devices following which you can enjoy longer battery life on your phone. Smartphone manufacturers are trying their level best to bring out thinner smartphones with each model in their lineup of devices. However, making them thinner and slimmer comes at a cost of sacrificing battery life. Yes folks, battery life. Making smartphones thinner lessens the space for a big battery to fit inside the chassis of the device. Sure, we are now seeing manufacturers packing large capacity batteries inside of their devices that are thinner but this is not always the case. However, even though there are smartphones with larger batteries, battery life still falls short for most of the users, if not all. To estimate battery life we would have to take into account a number of factors. Factors such as usage patterns of the user, network mode, number and types of apps installed, screen brightness, location services and most importantly the condition and age of the device being used and much more. Keeping battery life in mind lets come to the point of the article. Today, I have some simple and basic tips for you Droidviewers on saving battery life on your Android device. These simple tips though would not save a lot but a decent amount that would be really handy, should an emergency situation arise. All said, let’s take a look at a few simple tips to save even that 1% of your battery life. Let’s get started. It is common sense that location services hog the battery of your device. Based on the apps installed on your device, some of them periodically check for your location or system apps such as Find my phone and Maps keep locating your device’s location often. But this costs battery life on a regular basis. So all in all, it’s better to disable any location services and only enable them as and when required. Refer the screenshots below to learn more. 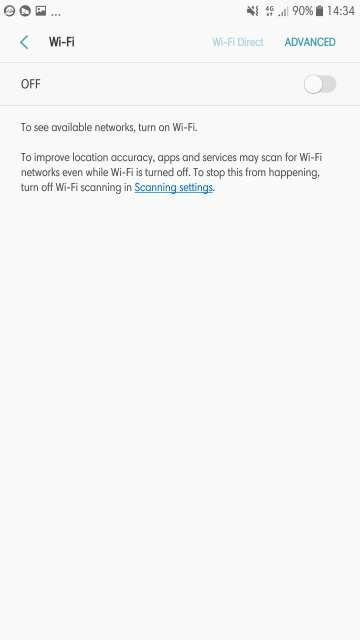 Turn off or disable WiFi and Bluetooth location scanning. Switch locating a method to ‘Battery Saving’. 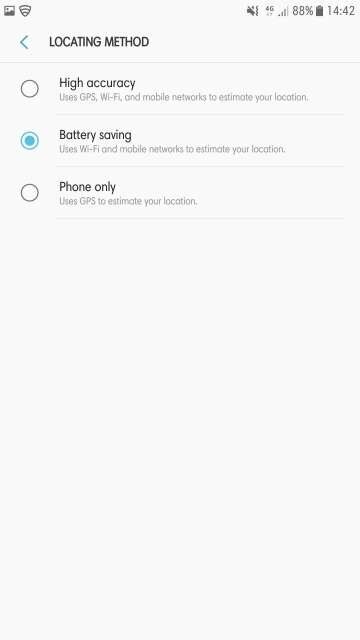 If you do not use location services then, just turn off the location altogether in location settings. The location toggle can be accessed from within the drop-down notification shade. Leaving WiFi enabled when you aren’t connected to a WiFi network unnecessarily consumes battery. By doing so, your device keeps scanning for a WiFi network in the background. So, it’s better to turn off the WiFi. 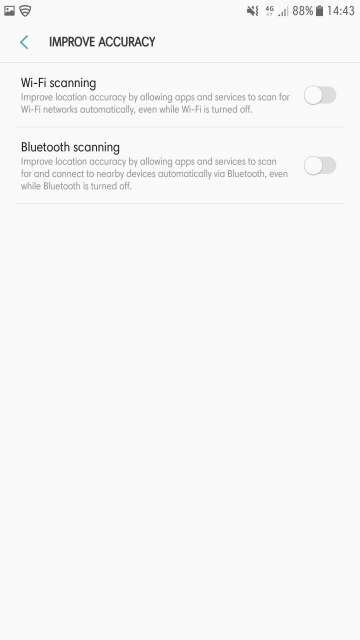 Similarly, turn off the Bluetooth when you aren’t connected to any Bluetooth device. However, the battery consumption is not that much, but it’s better to disable WiFi and Bluetooth when you aren’t using them to save every bit of your device’s juice. 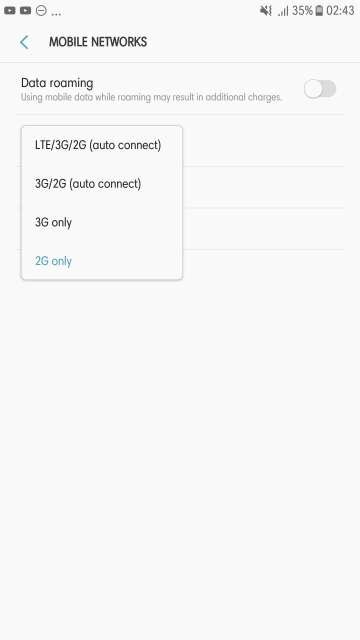 Next up, switch the network mode to 2G when you aren’t getting enough or any coverage at all on 3G or 4G LTE mode to save a lot of battery. Your device will work harder to get the best possible coverage if the case is as mentioned above. Refer the screenshots below. Switch the network mode to 2G when in areas with low coverage to improve battery life. Disable WiFi when not connected to a WiFi network. Similarly, turn off the Bluetooth on your device. The display or to say, the screen is the most power hungry hardware present in your device. It should always be going on and on for you to be able to interact with your device. The interaction could be in the form of writing articles (like me most of the time), watching a media, preparing or editing that quick important office document. No matter what it could be, a phone without a display is like a car without an engine. You could save battery by lowering the brightness of the screen and most importantly just turn off the automatic brightness until and unless you really need it. Keeping automatic brightness puts the sensor to work at all times and as a result, the sensor keeps adjusting the screen brightness thereby unnecessarily wasting power. Reduce the screen timeout to either 1 minute or 30 seconds. If you own a recent Samsung device model, enable the ‘Keep screen turned off’ to prevent the screen from turning on in your pocket or bag. 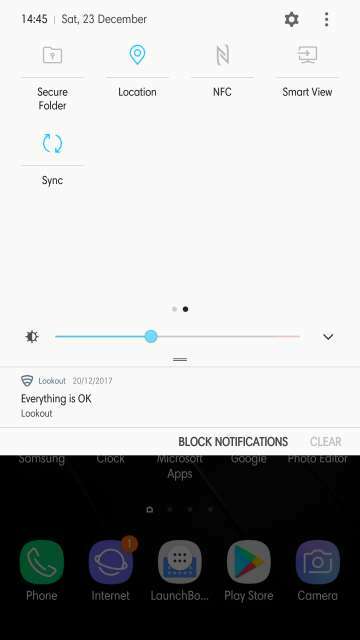 Lower screen brightness, reduce its timeout, disable automatic brightness and enable ‘Keep screen turned off’ (Samsung devices). Must Read Does Lowering Screen Resolution Increase Battery Life? Let me go down the memory lane on this one first. It was in 2008 that Nokia, the then largest smartphone maker in the world had brought the Always On Display which was an out of the world and intuitive function to ever feature on a smartphone back then, that too on an AMOLED one (works best on AMOLED display because only the pixels that have to show information are lit up in order to save power). Always On Display in those days was branded by Nokia as Glance screen. 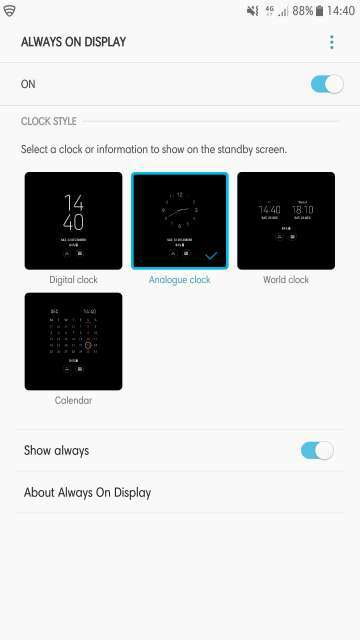 Glance screen is from where Always On Display actually evolved from. Back in those days, it just showed the basic notifications such as time, date, missed call, and text message counts. Over the years this technology feature evolved to what we see today on Samsung, Google and LG phones that show much more than just notifications and a clock. As I mentioned about AMOLED display that only the pixels that have to show the information are lit up which in-turn saves some power. Yes, surely they save some power but at the same time, those lit pixels do take some power right?. I know it ain’t a big deal but let’s save at least some power. Disable that beautiful Always On Display (if your device is equipped). Let’s save some power at least. AMOLED displays don’t need a backlight as opposed to an LCD display which would need it in order to light up and show the colors. AMOLED display pixels lit themselves up. As a result, they do not light up when showing black background or UI element. In contrast, an LCD display has to have it’s backlight in action all the time regardless of the color shown. Don't Miss Do Dark Themes and Black Wallpapers Save Battery? All Android devices have a power saving mode and keeping it enabled is one of the battery-saving tips we recommend. 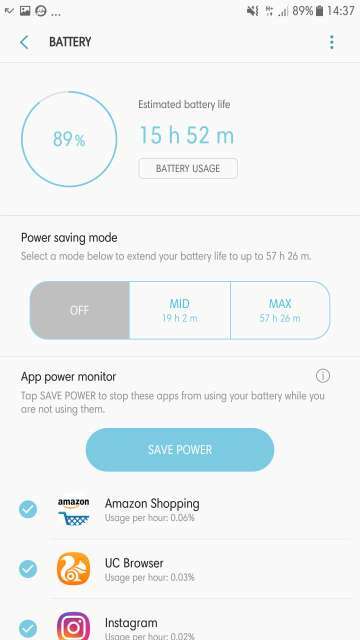 Samsung phones (other phones may have this feature) have a useful feature to save battery power. It is called App power monitor. What App power monitor does is that it detects apps that are using battery power in the background. If an app is not used for a couple of days, App power monitor automatically puts it to sleep. Alternatively, you can also manually put them to sleep. However, sleeping apps do not give out any notification whatsoever but those apps wake up as soon as you launch them. Also, enable power saving mode to get a few more hours of battery life. App power monitor puts unused apps to sleep. Also, enable power saving mode to get more battery life. 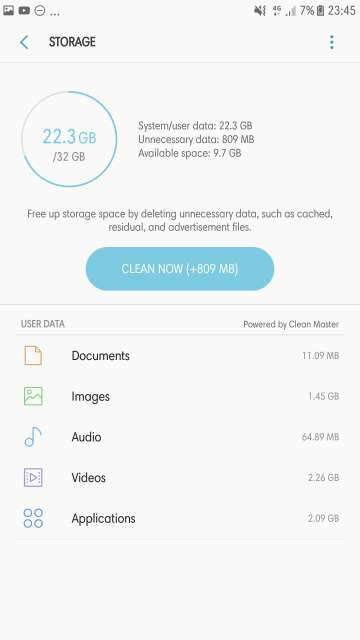 Clear the memory, cache, unnecessary and unused files, temporary files and applications you no longer use to ensure a smooth and worry-free device operation. Not doing so from time to time may slow down your device noticeably leading to lags, stutters, and heating which would cost you your device’s battery life. Go to device maintenance or storage settings or applications settings (depending upon your device) to carry out maintenance. 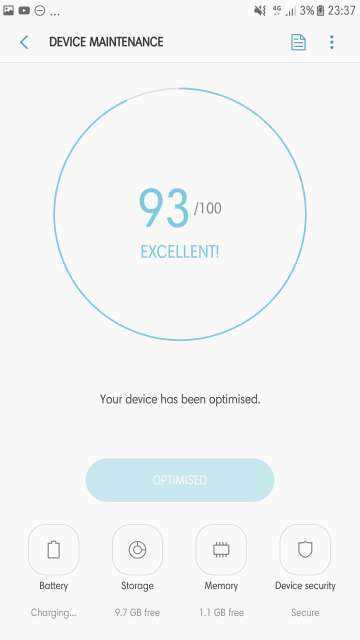 Device maintenance screen on my phone (Samsung device). On your phone, it may be in storage settings or applications settings. 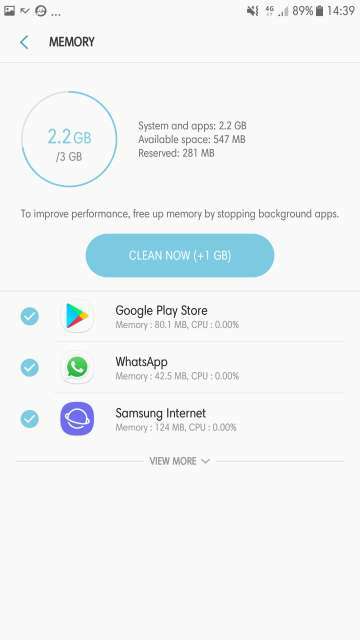 Clear the memory to close unused apps open in the background and also to save battery power. Always check for the latest updates available from your device’s manufacturer. 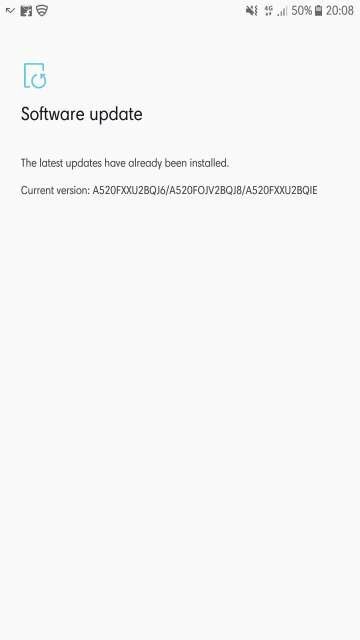 Keeping your device updated ensures that you have the latest security patches, features, bug fixes, and stability improvements. As a result, you would be getting a better backup out of your device’s battery. Always make sure your device has the latest and greatest updates installed. And here you go tech enthusiasts, with few basic and simple tips to get even that 1% out of your device’s battery. Two small pieces of advice to keep your device battery in good shape: 1. never completely drain the battery; and 2. intermittently disable fast charging and instead, charge the battery in regular charging mode (if the option is available on your device, Samsung devices equipped with fast charging have this option in Device maintenance > Battery) to help keep the battery last long over the years. Fast charging generates considerably more heat than regular charging eventually shortening the lifespan of the battery. So, there are the best battery-saving tips for Android devices that can save battery juice on android from draining fast. Implement these and let us know if they helped you or not.